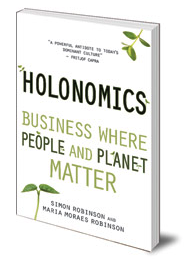 For those of you in Brazil who have been asking Maria and I about the best way to get hold of a copy of Holonomics, it now seems that Amazon.com.br have a new distribution system in place. The paperback edition of Holonomics is now back in stock after selling out a couple of months ago, and there is free delivery to some regions of the country. Reblogged this on Transition and Happiness.